The narrative for Election 2006 is neatly in place: The Republican Party lost because it lost its way and became what it had opposed. Rush Limbaugh made this clear with his post-election confession that he would no longer need to “carry the water for people who I don't think deserve having their water carried.” His admission of hypocrisy aside (not surprising), Limbaugh's declaration made it clear that the GOP had fallen into error. It's very sad, of course, to think that it took the Republican-led House of Representatives only twelve years to fall into the sink of corruption and hubris that took the Democrats forty years of hegemony and complacency to achieve. Of course, it takes time to break some promises. For example, there was no way Republican George Nethercutt could violate his pledge to serve only three terms in the U.S. House of Representatives until almost six years had gone by, after which he declared his candidacy for a fourth term (and later a fifth). I would argue, however, that dishonesty is natural to the Republican Party, it being one of their defining characteristics. While the Democrats have their own sins to expiate (timidity being one; a disgracefully long dalliance with racism in their Solid South days being another), I claim that the GOP's history of dishonesty is bred in the bone, permeating root and branch. But that's okay, you see, because when you're the good guys, you are allowed to do whatever it takes to win. The “good guys” must win. Got it. Deus lo volt! Oh, but these are just special cases, right? I mean, what about old Mayor Daley and the Chicago machine that helped deliver Illinois to JFK in 1960? What about Lyndon Johnson's improbable primary victory over Coke Stevenson in Texas in 1948? It would not be difficult to add to this list. Nevertheless, the Democrats have nothing to compare with the GOP's absolutely phenomenal ability to steal the White House from rightful Democratic victors. I've already alluded to Harris's role in frustrating the vote count in Florida so as to secure its electoral votes (and the presidency) for George W. Bush, even while Al Gore held a nationwide plurality of the popular vote and (quite likely) a narrow plurality of the Florida ballots. That was merely the latest example of the Republicans' penchant for stealing the presidency. Their grand tradition goes way back. There have been three elections since the Republican Party came into existence in which the winner of the popular vote for president was not sworn into office. 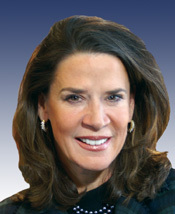 In every single case, the Republican candidate took the White House. Quite a remarkable sweep. But, you say, what about the Electoral College? After all, presidential elections in this country are not based on a direct vote of the people. While this is unfortunately true, the evidence of fraud and political manipulation is strong in all three contests. I've already cited the fiasco of 2000, from which the nation continues to suffer. Let's look at the other two instances. 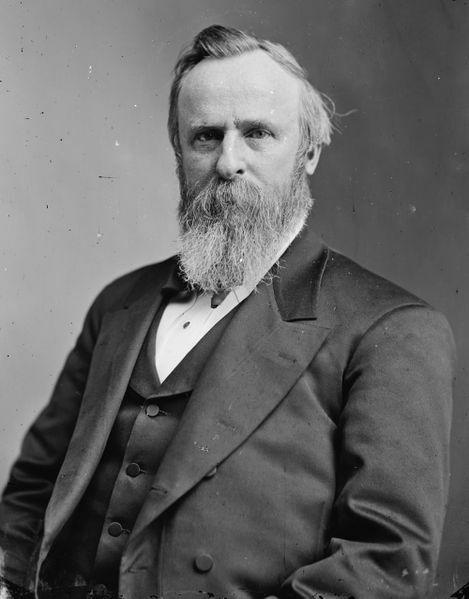 The manner of the election of Rutherford B. Hayes to the presidency resulted in his being popularly known as “Rutherfraud” Hayes or even “His Fraudulency.” To believe in the legitimacy of his election, you need merely accept the proposition that three southern states voted for a Republican less than a dozen years after the conclusion of the Civil War. Of course, it helped that U.S. troops still occupied much of the South. 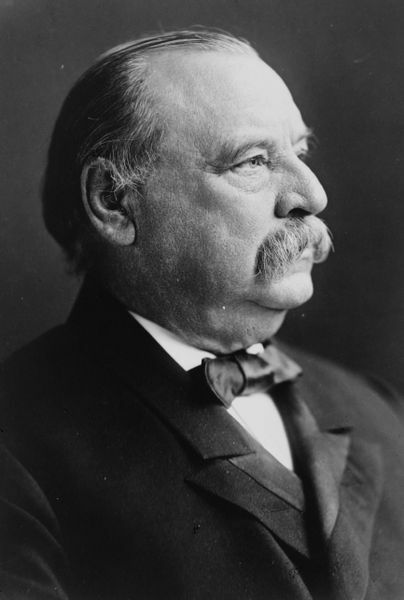 Only Franklin D. Roosevelt won more presidential popular elections than Grover Cleveland. Roosevelt won four terms, while Cleveland topped the balloting in three consecutive elections. As students of history know, however, he was sworn in only twice, for non-consecutive terms that make him the only man to figure twice in the presidential roster: Cleveland is both No. 22 and No. 24. As for No. 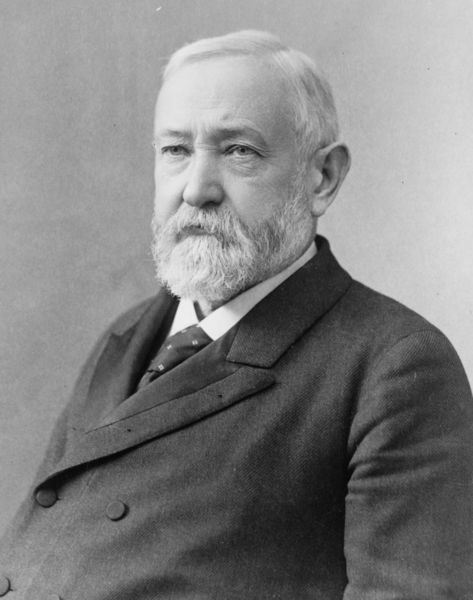 23, that's Benjamin Harrison. In the election of 1888, Harrison pulled in only 5,440,216 votes to Cleveland's 5,538,233. 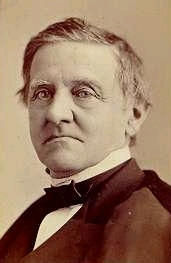 In the Electoral College, however, Harrison garnered 233 to Cleveland's 168 and walked away with the presidency. I have some problems with the reference to the popular vote - that's not how the US system works. Complaining about that, isn't really constructive, unless you are working towards making the presidential election dependent upon the popular vote (something I certainly would consider reasonable). I think you've missed Zeno's point here. I think he's less interested in claims about the debate between basing the election on the electoral vote instead of the popular vote than he is in pointing out that there has often been "something rotten" in the Republican "elections" to the Presidency. However, I'm actually much less interested in Zeno's reasons for mentioning the popular vote than I am in discovering why you've chosen to raise this issue. When you have a moment, will you please respond? By what margin does the distribution of elector college votes (electors?) differ from the population distribution among the states? In other words, by how much could they theoretically differ? In the 1970's with the population smaller, it was estimated that a person could muster 23% of the vote and still win out in the electoral college. How? By winning the largest states' popular vote by only one vote and losing all the votes in the other 38 states and the District of Columbia, a person need only receive 23% of the total popular vote to become President. The fourth minority president was John Quincy Adams who came in third in the popular vote while winning the electoral college vote. Shortly afterwards, Andrew Jackson, the popular vote winner, convinced the state legislatures to abandon their roles in the electoral college and actually use the popular vote to determine who will get the electoral votes as Adams won electoral votes via the state legislatures. Unfortunately, only about 15 states today require that the electoral delegates vote exactly the same way as the popular vote. Thanks, Zeno, for the political history. Yes, it's time to get rid of the electoral college. Interestingly, I was listening to Haley Barbour the other day on NPR (the cab driver had it on and I didn't feel like asking him to turn it off) - and Barbour was saying that this mid-term election wasn't really a disaster for the GOP because every time there was a two-term Republican president the GOP got hammered in the mid-term election of the second term. I mean, honestly. Did he even think about what that means? It takes 6 years for the nation to remember why they hate the GOP. Every damn time. I'd tend to agree with you about issues of vote manipulation (visit blackboxvoting.org! ), but I'd point out that the discrepancy you mention could just as easily be generated by more careful targeting by Republicans of key states etc. The received wisdom is that the GOP tend to be far better managed in their campaigning, so this is not outside the realm of plausibility.